Quit depending and relying on people to not be assholes. People are going to be assholes. Buy a gun. You don't have a gun owners mentality. NO, I DON'T DEPEND ON OTHERS TO MAKE ME HAPPY. I DEPEND ON THEM TO BE GOOD PEOPLE LIKE ME. 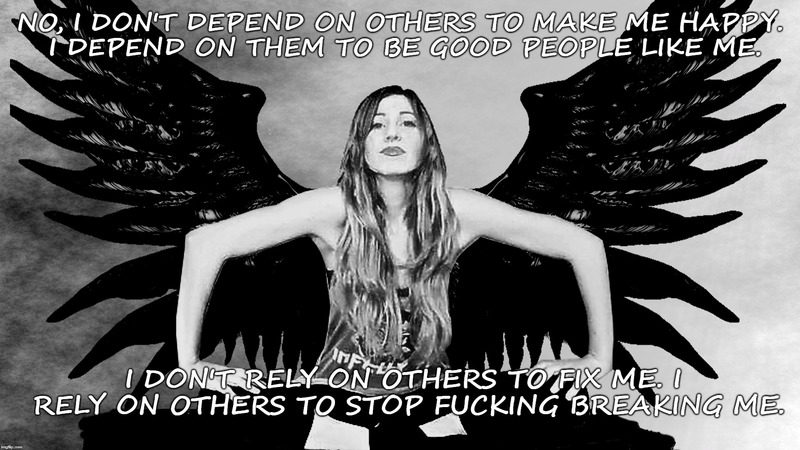 I DON'T RELY ON OTHERS TO FIX ME. I RELY ON OTHERS TO STOP F**KING BREAKING ME.